As a literary genre, the sentimental novel reached the height of its vogue in the 1770s and 1780s and was still popular as the eighteenth century drew to a close. 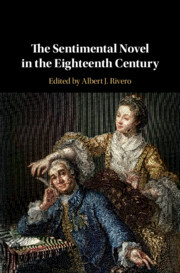 This volume presents a comprehensive exploration of the sentimental novel in the eighteenth century, beginning with its origins in the so-called amatory fiction of the late seventeenth and early eighteenth centuries. 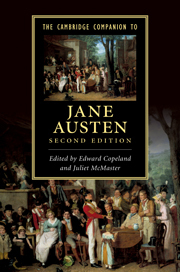 Chapters from leading scholars combine the various aspects and contexts of the genre, from politics, slavery, women writers, and the Gothic to the sentimental novel in America, France and Germany, with historically informed close readings of novels by writers including Samuel Richardson (1689–1761), Laurence Sterne (1713–68) and Jane Austen (1775–1817). This volume demonstrates that the sentimental novel continues to engage readers and critics and that, far from being obsolete or only of antiquary interest, it remains a vibrant and exciting area of study. Albert J. Rivero, Professor of English at Marquette University, has published widely on British literature of the long eighteenth century. He has edited critical editions of Gulliver's Travels (2002), Moll Flanders (2004), Samuel Richardson's Pamela: Or, Virtue Rewarded (Cambridge, 2011) and Pamela in Her Exalted Condition (Cambridge, 2012).